You are here: Home / Basketball / The Baseline: Will Lowry and Durant Injuries Tip Balance of Power In NBA Playoffs | Who Ya Got: DeAndre Jordan or Rudy Gobert & the Race for ROY…OH BOY! 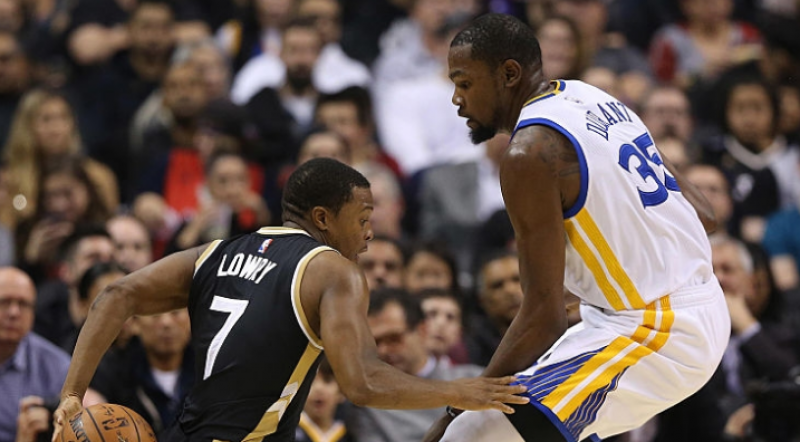 Elite Shakeups as Kyle Lowry and Kevin Durant go down. What’s the fall out in each conference at the top? Should teams be more willing to “go for it”? ROY race wide open now that Joel Embiid is out for the year. What are the chances for guys like Dario Saric, Malcom Brogdon, Brandon Ingram, Buddy Hield and Jaylen Brown now? Can the Warriors carry on without Durant in the West?